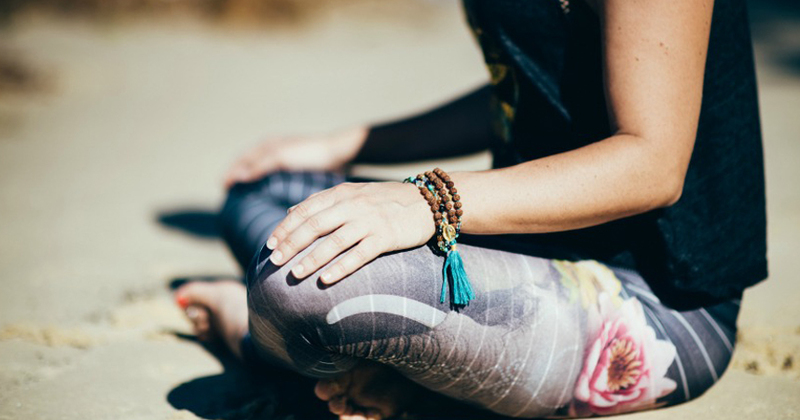 As yogi’s we all know that mindfulness is a powerful thing – positively impacting our bodies, minds and general wellbeing. That’s pretty awesome in itself but what if mindfulness could have a positive impact on stress levels of cancer survivors? I’m not sure that awesome would really be the right word to describe that – even if it were remotely possible! After reading an article published by Wiley Periodicals Inc. on behalf of American Cancer Society called “Mindfulness-Based Cancer Recovery and Supportive-Expressive Therapy Maintain Telomere Length Relative to Controls in Distressed Breast Cancer Survivors” a combination of excitement and gratitude began to rise, that maybe – just maybe – stress reduction techniques; such as mindfulness meditation could help these people that have suffered at the hands of such a cruel disease. One group was placed on a mindfulness-based stress reduction program (MBCR) that included, 8 weekly 90-minute mediation sessions, a six-hour retreat and a booklet with home-based guided meditations and mindful body movements for daily practice at home (intervention treatment). The second group were placed on a supportive-expressive group therapy program (SET) that included; weekly 90 minute sessions with clinical psychologists and clinical social workers for 12 weeks (intervention treatment). And the third group attended a 1-day (6 hour) stress management seminar (controlled treatment). The way the study outcomes were measured was by assessing the telomere length (TL) at the beginning and the end. Telomeres are specialized nucleoprotein complexes that form the protective ends of linear chromosomes and provide genomic stability. Telomere dysfunction and loss of telomere integrity, results in the TL being shorter than with healthy telomeres which is believed to be linked to several disease states and earlier mortality, one of which being breast cancer. The study highlighted that there was little difference between the MBCR and SET groups, both maintaining telomere length throughout the whole intervention treatment. However the women who received the controlled treatment demonstrated a trend of decreasing telomere length. These findings add to existing literature that supports the potential of stress-reducing interventions having positive effects on disease outcomes. The below extract taken directly from the study is particularly exciting as it highlights that mindfulness and positive emotional expression could positively help those that have experienced significant stress and suffering at the hands of diseases like cancer. I’m sure you would all agree that this is a pretty uplifting concept. Power Living collated the information for this blog post from the medical research study “Mindfulness-Based Cancer Recovery and Supportive-Expressive Therapy Maintain Telomere Length Relative to Controls in Distressed Breast Cancer Survivors” published by Wiley Periodicals Inc. on behalf of American Cancer Society.